We each led students through 45-minute workshops. 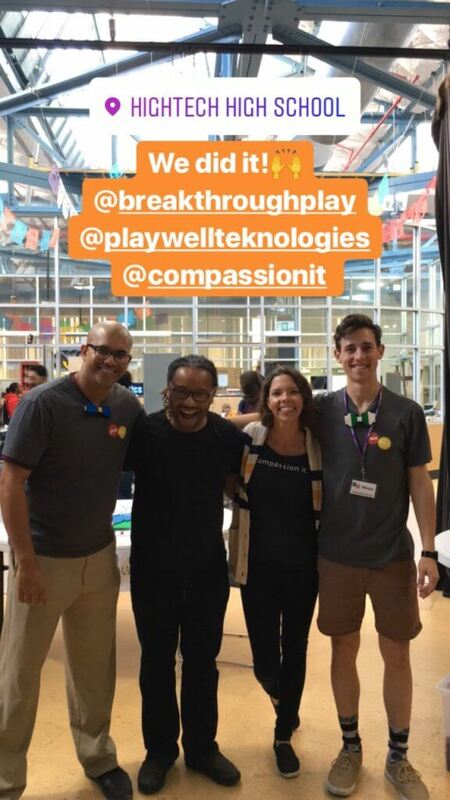 I focused on cultivating compassion, and during Gary’s workshop, students used improv and play to practice empathy, listening, and team-building. Jeff led the final workshop. 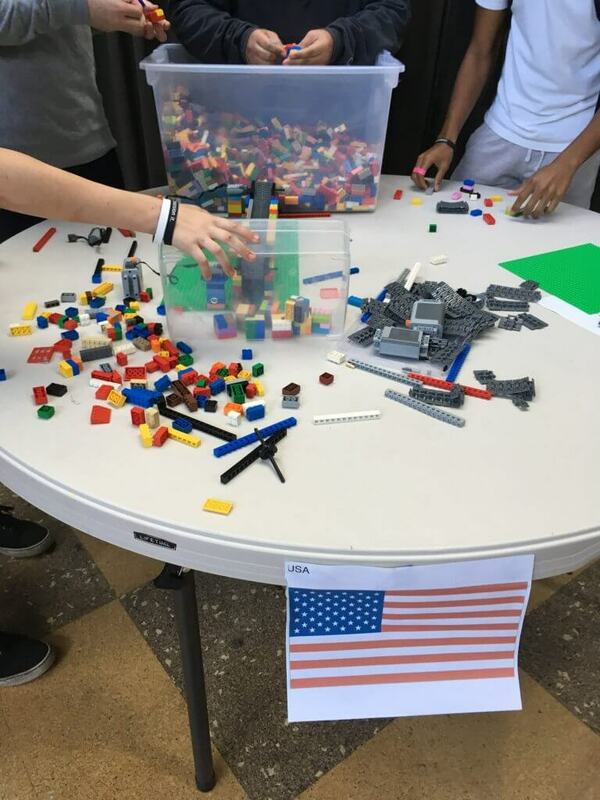 He loaded 10 tables with Legos, and he labeled each table as a different country. Some of the tables represented low-income nations, and some represented high-income nations. The students formed teams and picked their tables. 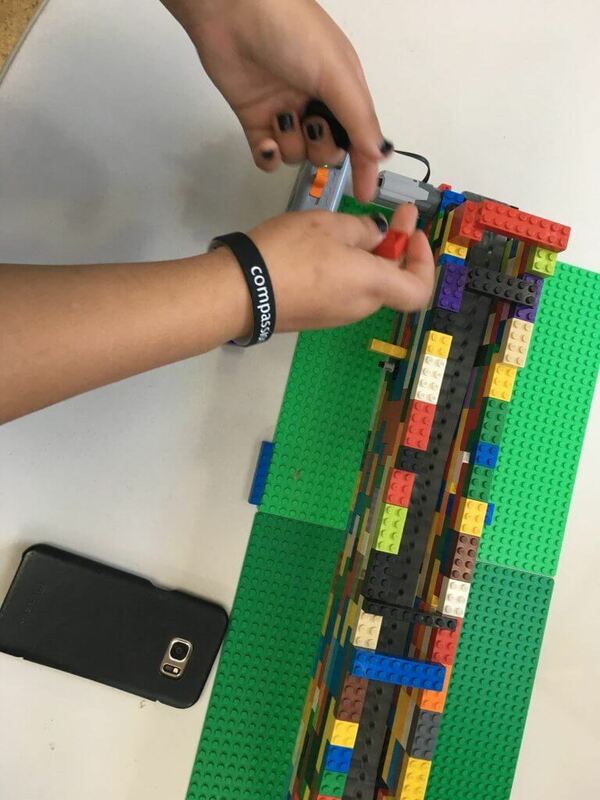 Jeff gave them written instructions, and he told them to “produce as much food as you can.” The students built conveyor belts out of Legos and then created “food” out of Lego bricks. When the food reached the end of the conveyor belts, students would collect it and stack it on their nations in the middle of the room. What the students didn’t know is that the low-income countries weren’t given enough resources to complete the task. Some of them were missing parts to their conveyor belts, and others didn’t have enough bricks to create food. 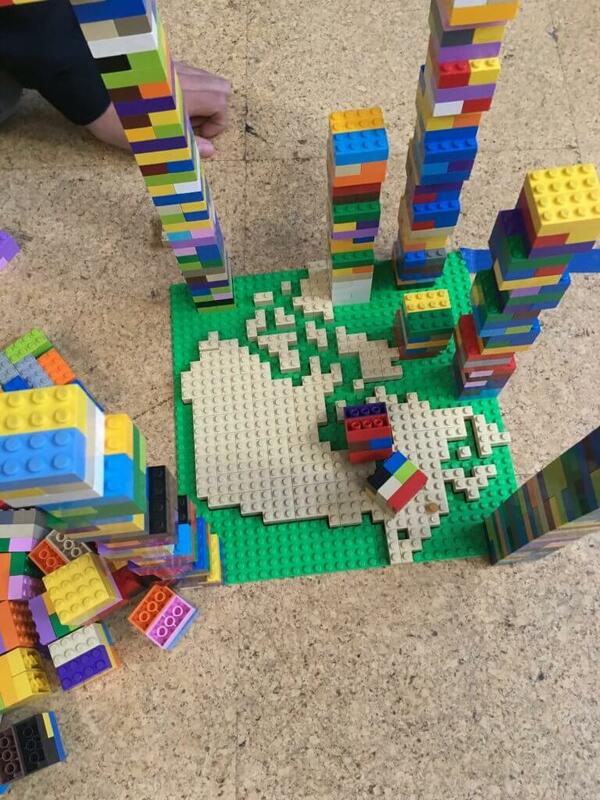 The wealthier nations, however, had more than enough Legos. The high-income nations like the United States and Canada began producing large amounts of food right off the bat. At the same time, the developing nations clearly struggled. For example, the Dominican Republic students were left to fend for themselves despite asking for help from other nations. The students eventually gave up and sat back feeling frustrated and dejected. The students looked sheepish as they realized they had incorrectly assumed this was a competition. I asked the United States team if they shared Legos with any other nations. “Because we’re ‘merica,” he said. Each student wore a wristband with the words “Compassion It” on it. Despite the visual reminder and two workshops that primed them in compassion, most students ignored requests for help. I’m happy to report that we did find some outliers. 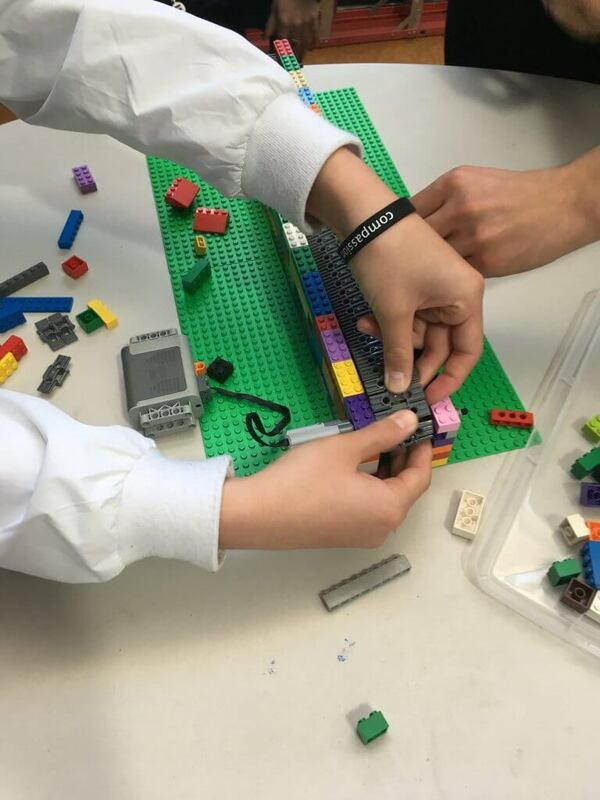 A few students went out of their way to deliver Legos to those who needed them. What’s my takeaway from this? When we’re involved in a perceived competition, we seem to ignore the needs of others. Compassion takes a back seat when we want to win. Our society makes competition a part of everyday life, from athletics to our careers. We prioritize a winning mindset over a compassionate mindset, and that’s what we pass down to our children. So what can we do about it? We can start by including sportsmanship and compassion when we compete. We should also teach our youth that life is not a zero-sum game. When we help each other, everyone wins. Want to cultivate compassion within and also support Compassion It’s efforts to make our world more compassionate? Be a Compassion It Advocate! Learn more. Enjoyed the article as I have been contemplating the same intersections of competition and compassion. In robotics tournaments I have seen points given for “coopetition” and in sports it’s wirth checking out ultimate frisbee—no refs, the athletes handle foul calls amongst themselves; then a spirit circle is held at the end with both teams interspersed complimenting one another ending in a combined cheer combining both team’s names. It’s an incredible co-mingling that could be helpful as a model for other sports. Thanks for sharing your thoughts on this. I didn’t realize ultimate frisbee had that element…really interesting. Others should follow suit!